As a team of cycling specialists, we’re uniquely equipped to make sure you receive the right advice after you’ve suffered an injury whilst on your bike. 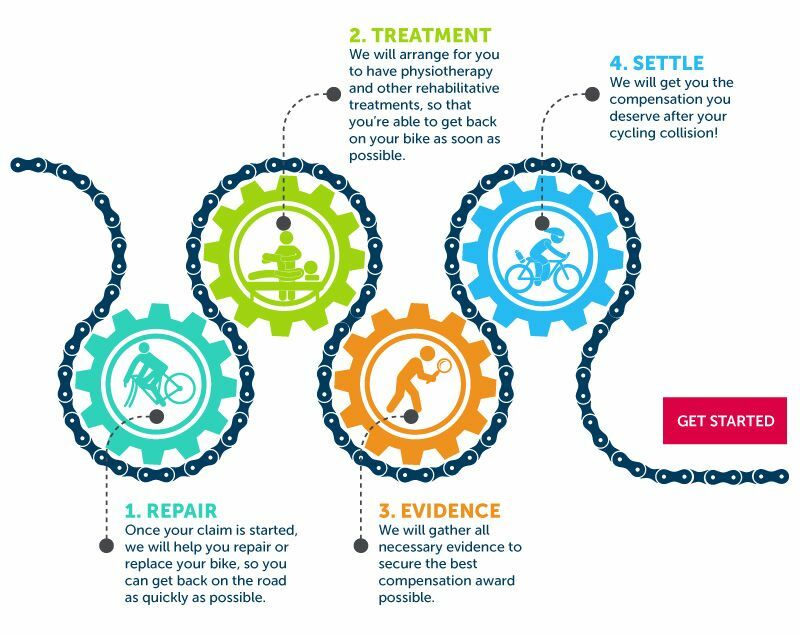 Alongside being skilled lawyers, our team are also passionate about cycling, meaning that we can empathise with you and your situation when you’ve been injured. Miss V was knocked off her bike at a set of traffic lights by a car attempting to turn left without indicating. The collision caused Miss V to fracture her the scaphoid bone in her right hand, meaning she missed several weeks of work. Thanks to the JMW team, Miss V secured £11,814.84 in compensation. We were able to secure an admission of responsibility, when at first the driver’s solicitor denied responsibility for the accident and suggested Miss V was partly at fault. We also ensured that the compensation award Miss V received adequately compensated her for the pain and suffering she had experienced as a result of her injury, provided assistance with physiotherapy and included a settlement for the time Miss V has missed working. This was particularly complex to work out, as Miss V was a self-employed freelancer at the time of the injury. Fill in the form above to if you have been involved in a Cycling Accident and want to speak to a member of our team.